Always a special feeling to be back at Dongdaemun Design Plaza, the SFW arena, and the vibe there. It feels so great and it's definitely a happy place. We are back for our 6th season which feels so crazy cool! 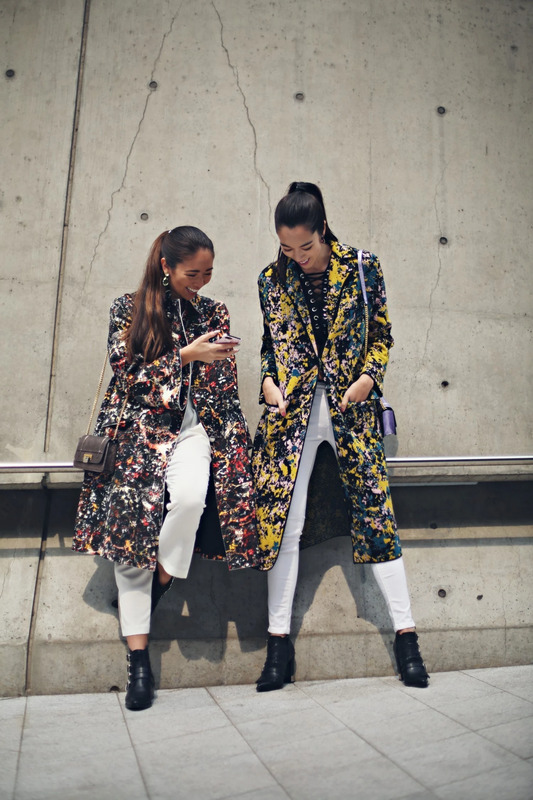 Here rocking our first twin look in our pattern perfection jackets. Just after Bourie fashion show.